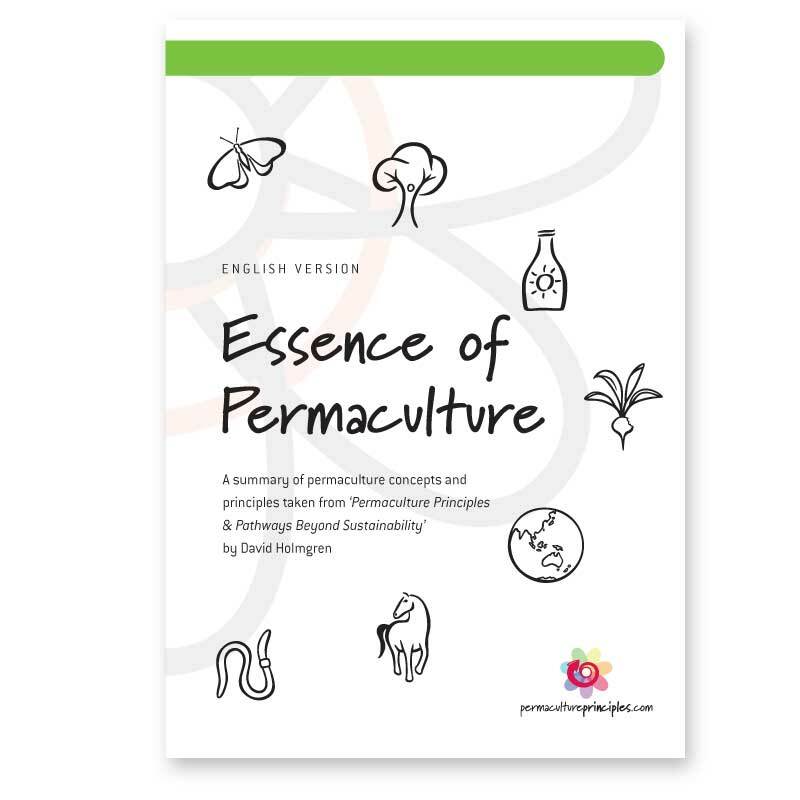 Summary of permaculture concept and principles taken from Permaculture: Principles and Pathways Beyond Sustainablity 2002. 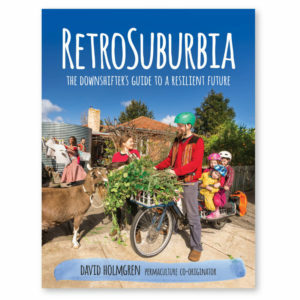 David Holmgren gave a Lunchbox/Soapbox talk at the The Wheeler Centre in February 2012, exploring the profound improvements that the application of permaculture principles and strategies could deliver for the sustainability and livability of today’s suburbs. David’s message about nature’s resilience is a counter balance to the orthodox picture from the biological sciences of endless ecological collapse in the face of human impact. 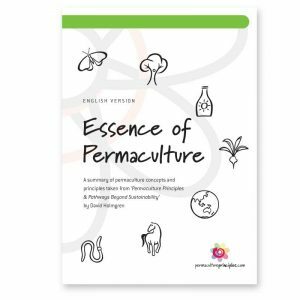 He brings these perspectives into the 21st century where fundamental challenges to civilisation are changing the ground rules for how we work with nature. This article by Michael Green, explains why big households are better than big houses. Michael interviewed David Holmgren, and Ed McKinley of the Groupwork Institute of Australia for this article. This article is also on The Age Domain site. This press release is a response to the recent floods and discusses the advantages and disadvantages of streamside vegetation management strategies that are currently in use and that are recommended by David Holmgren and others. Now also available in Spanish, thanks to Holger Hieronimi of Tierramor. Published on the Tierramor website here, and downloadable below. David Holmgren explaining a low cost technique for revegetating eroded gullies without heavy machinery or chemicals. The technique turns thick, fire-prone blackberry cover into useful fire-resistant trees on what was a landscape completed denuded in the gold era. Working bee action in the background. Thanks to Dan Palmer of Very Edible Gardens (VEG) for this video. Listen to this interview with David Holmgren via the Farm Radio website. Read this interview with David Holmgren, by Paula Alvarado, Buenos Aires, October 2007. 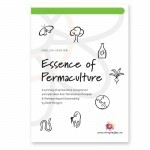 For more info see the Peak Oil and Permaculture tour page. This piece was first published as an opinion piece in Water, Vol 32, No 8 December 2005, the Journal of the Australian Water Association and is now available below. This brief piece was written in September 2003 as a contribution to a book (in French) by Christophe Elain, “Un petit coin pour soulager la planète: Toilettes sèches et histoires d’eau”, published 2005 by Goutte de Sable. Book review of important new book on the “weeds or wild nature” issue.